Definitely one of the most circulated titanium urban myths, having been reported as far as 2003, is about titanium rings, which, allegedly are impossible to be taken off from one’s finger in case of an emergency, due to a lack of specific and expensive equipment in most hospitals or other emergency facilities. Obviously, this is false and it is widely believed that it was first launched by jewelry retailers staff in order to veer some clients to the more expensive items made of gold or platinum. Most of titanium jewelry is made out of commercially pure titanium grades. While these is sufficient to take advantage of titanium corrosion resistance, unique specific color and resistance, are in no way at par with the aero-space titanium alloys unmatched toughness and fracture resistance under heavy stress conditions. 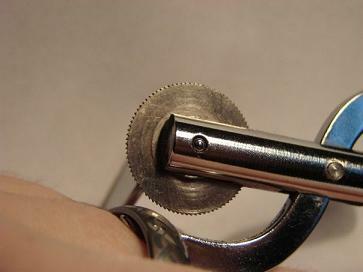 A common ring cutter, standard equipment in most emergency rooms, is sufficient in order to remove a titanium ring. It’s true that you would need to cut each side of a titanium ring in order to take it off from one’s finger, as opposed to a gold or platinum ring which would need only one, as titanium is not as malleable as these metals. But that’s all there is to it. You may have noticed that there are more and more titanium jewelry items marketed as “aircraft grade titanium”. While I suspect many of these are actually made of commercially pure titanium, with the “aerospace” designation used just as a marketing incentive, some of more ethical manufactures may indeed use titanium alloys to produce such jewelry. Nevertheless, due to the rather small thickness of the piece a common saw – which is also standard in emergency rooms – it’s enough to get the job done, though it would take some more time that usual. As early as 1971 the US Central Intelligence Agency published a series or reports regarding the use of titanium metal by the Russian shipbuilding Industry that strongly supported the assessment that there were capabilities shaping and welding heavy titanium plates that could ultimately led to a titanium submarine. 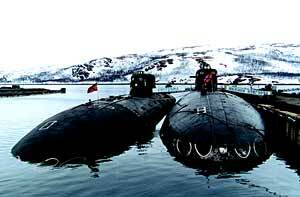 These contradictory viewpoints soon led to a debate as whether titanium alloys were indeed used for titanium submarines hulls, as, due to the sensitivity of the domain and the general Russian secrecy there was no actual evidence that submarine classes ALPHA, PAPA and SIERRA, which were reported of having such a hull, were really made out of titanium. However, in the following years, due to international disarmament treaties, several decommissioned submarines, including ALPHA class types, were assessed by US and European inspectors and army officers in order to establish possible radiation risks issues. It was established that titanium was really used for the hull, with the bulk of the alloy being PT-1M - a Russian special titanium alloy that does not use Vanadium as added element. This alloy still can not be exported without a special Russian agreement. Have you heard any titanium urban myths that need explaining? Titanium is the metal of the hour, and I suspect it's going to stay this way for many years to come. It's only natural that more and more urban myths about titanium will appear. Have you heard the one about titanium dissolving in water? If you know one, please share it, and I will look into it, to see if there is any truth. Your myth will appear on a Web page exactly the way you enter it here. You can wrap a word in square brackets to make it appear bold. For example [my story] would show as my story on the Web page containing your story.